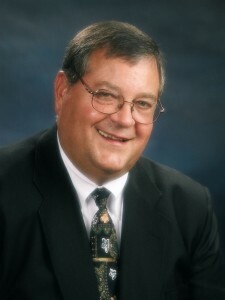 Dr. William J. Katip (pictured) has been named provost at Grace College and Grace Theological Seminarybeginning July 1. Dr. Katip is an alumnus of Grace College and serves currently as provost and senior vice president at Robert Morris University in Pittsburgh, Pa. In addition to his B.A. degree from Grace College, Dr. Katip holds an M.S. degree in clinical psychology from Purdue University and Ph.D. in higher education administration from Michigan State University. Heidi Biehler (pictured) and Sara Melcho are among the recipients who will each receive Honor Her scholarships, which are presented annually by Women of Grace USA. The scholarship provides $500 to be used toward their GOgrace ministry trips to the Philippines in May with Grace Brethren International Missions. Heidi is a member of the Grace Community Church in Fremont, Ohio. Sara, from Marshall, Ill, attends the Community Grace Brethren Church in Warsaw while at school. Honor Her Scholarships are made possible through the gifts of those who wish to honor women whose lives have demonstrated a love for the Lord, faithfulness in serving Him, and a heart for spreading the Gospel to every corner of the world through praying, giving, and going. Women of Grace USA is a women’s ministry of the Fellowship of Grace Brethren Churches. Kurt and his wife, Anecia, reside in Winona Lake, Ind. Ken Seyfert (pictured), executive director of operations for the Grace Brethren Investment Foundation (GBIF), Winona Lake, Ind., is the moderator for the meeting of the Denominational Investment Loan Association (DILA) to be held September 16-18, 2007 in Denver, Co.
DILA is comprised of the church extension funds and foundations of most of the nation’s evangelical denominations and religious groups. It represents more than $20 billion in combined funds, all invested in Christian work. Denominations who participate include the Assemblies of God, Church of God, Disciples of Christ, Evangelical Free Church, Missouri Synod Lutheran, Southern Baptist, and more. The objective of DILA is to work together across denominational lines in the multiplication of resources for the advancement of God’s work. Seyfert, who was formerly a banker in Lebanon, Pa., has managed GBIF’s investments for the past ten years. During that time assets have more than doubled and earnings have increased 20-fold, with more than $5 million having been contributed to the work of church planting alone. Seyfert also chairs the retirement investment plan for the Fellowship of Grace Brethren Churches. Seyfert and his wife, Donna, live in Warsaw, Ind., and are members of the Winona Lake Grace Brethren Church. Grace Brethren U.S. Navy chaplain Dayne Nix(pictured) has been reassigned from Iceland to San Diego, Calif., where he is serving as director of the Southwest Region Spiritual Fitness Division. In this new position, he helps provide monthly marriage retreats, personal and spiritual growth retreats, team building seminars, and women’s retreats in addition to conducting annual training for about 100 regional chaplains in the Navy Chaplain Corps six core competencies. 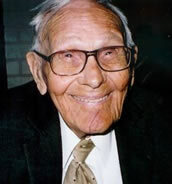 Henry Rempel (pictured), likely the oldest living Grace Brethren pastor, celebrated his 103rd birthday on March 17. He was honored at the Grace Church of Long Beach on March 18. Among the Grace Brethren churches he has pastored are Uniontown, Pennsylvania; Yakima, Washington; Norwalk, California; and North Long Beach, California. He lives in a residential nursing home in La Habra, Calif., would love to hear from friends—the address is St. Margaret Home, 981 Flamingo Way, LaHabra, CA, 90631. Brian Blackburn has resigned as pastor of administration and worship at Delaware, Ohio, Grace Brethren Church. He looks forward to new ministry opportunities, including the release of a new worship CD featuring several original songs as well as modern favorites. Bryan Nelson, who has served the last 10 years as worship arts director at the Grace Brethren Church of Lititz, Pa. has resigned to become the worship arts director at a church in Topeka, Kan. Matt McElravy has assumed responsibility as interim worship arts director at the Lititz church, a full-time position which will last through the end of the calendar year. Grady Pennell has been named pastor at the Eagle River (Alaska) Grace Brethren Church. Pennell and his wife, Pat, came to Alaska from Okinawa, Japan, after he retired from the U. S. Navy with 30 years of reserve and active service. Nicholas Philiposian will assume leadership of the DayStar Church in Union City, Ind. in June. He and his wife, Charlene, currently reside in Uniontown, Pa., where he is pastor of the Grace Brethren Church. John Shirley is the new pastor at Heartland Grace Brethren Church. Mt. Gilead, Ohio. He is completing his responsibilities at Delaware Christian School through the end of the school year while commuting to Mt. Gilead. 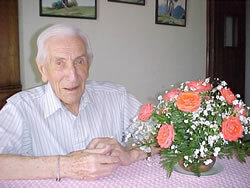 George Arthur (Art) Carey (pictured) died July 30, 2004 in Guatemala at the home of his son, Tim. He was 96. A long-time Grace Brethren minister, he received a bachelor of divinity degree from Grace Theological Seminary in 1941. He led churches at Salina, Ks. (a summer pastorate); Lake Odessa, Mich.; Rittman, Ohio; Mundy’s Corner (Altoona), Pa.; Troy, Ohio; Rialto, Calif.; Grand Terrace, Calif.; and Grass Valley, Calif. In addition, he and his wife, the former Leah Belle Carter, served as dorm parents for missionary children in the Central African Republic and worked at Brethren Christian High School in Long Beach, Calif. In 1985, they spent the year as missionaries for the Central American Mission in Guatemala and helped establish the first Grace Brethren church in that country, inspired by missionary Phil Guerena and encouraged by his son, Tim, who works withWycliffe Bible Translators. Tim Cary recalls that his dad and missionary Walter Haag baptized the first members of the new church. When the Careys returned to Long Beach, Art spent the next eight years collecting aluminum cans and other recyclables to raise money so the group could purchase land for a building. He succeeded in raising about $15,000, which was enough to buy a piece of property and to pay for about half of the first unit, according to his son. His wife preceded him in death in 2000. In addition to his son, Tim, his wife, Louise, of Mixco, Guatemala, Carey is survived by sons, Donald, of Santa Barbara, Calif.; Brant and his wife, Kazue, of Manhattan Beach, Calif.; Ross and his wife, Kay, of San Jose, Costa Rica; and Mark and his wife, Kathy, of Long Beach, Calif.; and daughters, Janet Leigh and her husband, Greg, of Danville, Ill; and Jill Carey, of Grass Valley, Calif. He also is survived by 17 grandchildren and 15 great-grandchildren. Laura Humberd, wife of Grace College Professor Emeritus Jesse Humberd died on March 19 at the age of 88 following a lengthy illness. 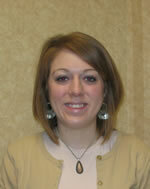 She was a member of the first graduating class of Grace College and was also a graduate of Grace Theological Seminary. She taught in the Warsaw (Ind.) Community School system for more than 30 years, retiring in 1985. She is survived by her husband, daughters Lenora “Lee” Kingery, Dover, Del. ; and Margaret “Meg” Damer, Howe, Ind., five grandchildren, and 10 great-grandchildren. The entire pre-press, printing, and distribution of this issue of FGBC World is being funded through a generous gift from the Grace Brethren Investment Foundation, Winona Lake, Ind. BMH expresses its appreciation to Ken Seyfert, Larry Chamberlain, and other employees and board members of GBIF for their generosity.